On Monday, June 2, the Tennessee Board of Regents unanimously accepted APSU ‘s recommendation of Alisa White as the next president. White will assume her role as president on June 30. The Board met via telephone in the afternoon of June 2 to decide on TBR Chancellor John Morgan’s recommendation for White. White was selected out of a nationwide search that narrowed to four finalists. 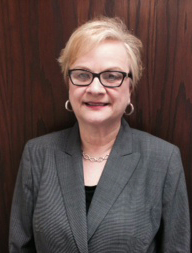 White previously held a variety of academic positions within the past 25 years, most recently the provost and senior vice president for Academic Affairs at the University of Texas at Tyler. Her complete résumé is available at http://tinyurl.com/TBRWhite. White eagerly awaits the opportunity to work at APSU.